For the love of felt! I am all about color. 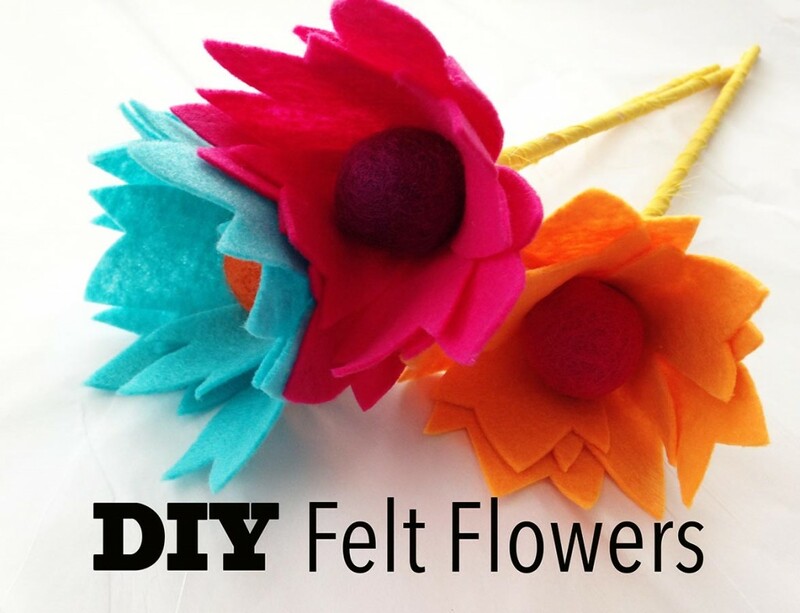 I have found felt and flower projects are a simple way to add that pop of color to an ordinary project or room. 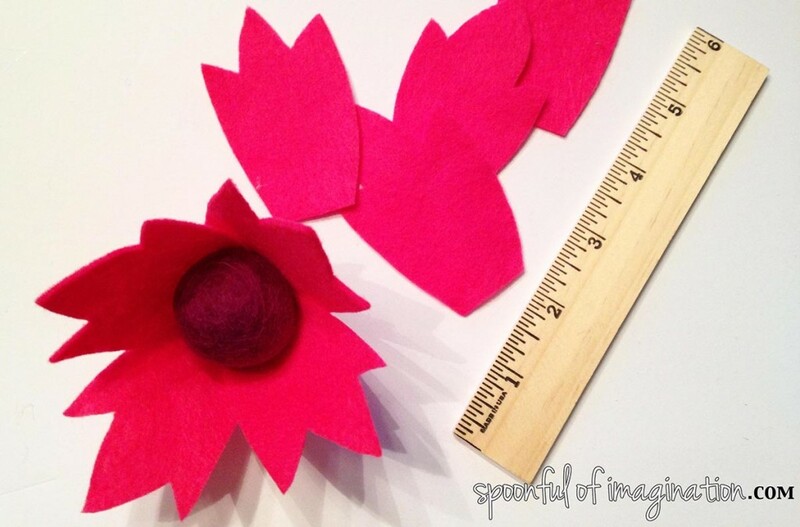 To make this felt flower, I simply cut eight petals out of felt. Each petal was roughly 2.5″ long. 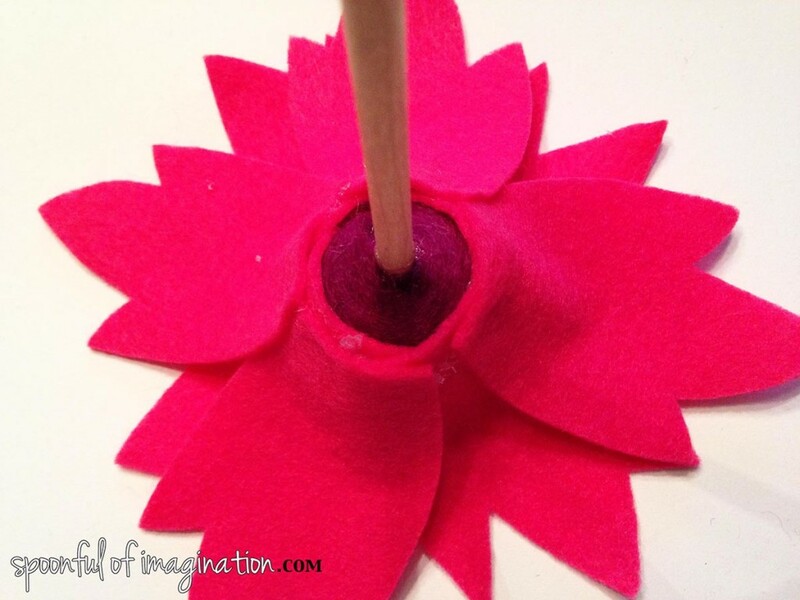 I used wool felt balls as the center of my flower and hot glued one petal at a time on to it. 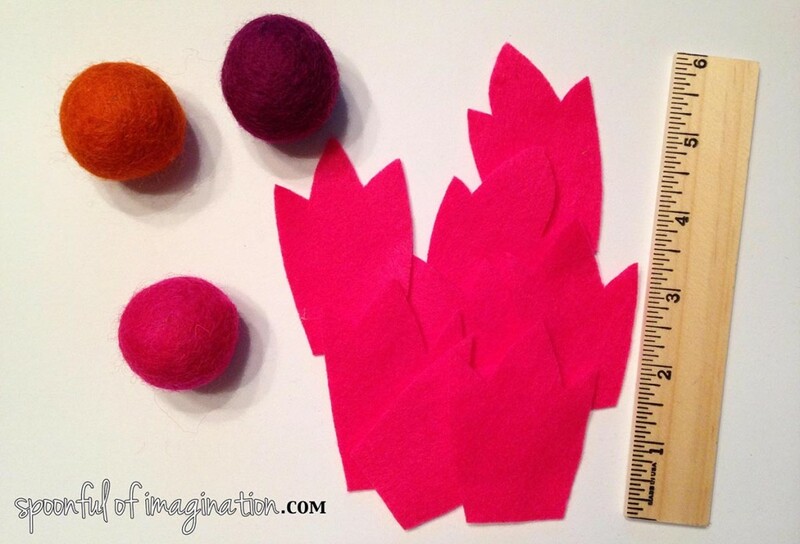 After I had one row of petals around my felt ball, I simply hot glued another row behind. 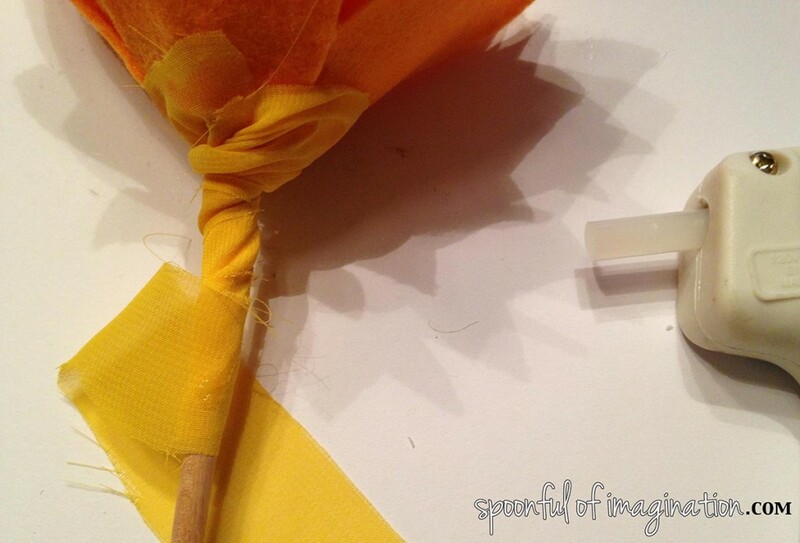 Once both layers of petals were glued in place, I turned my flower head over. 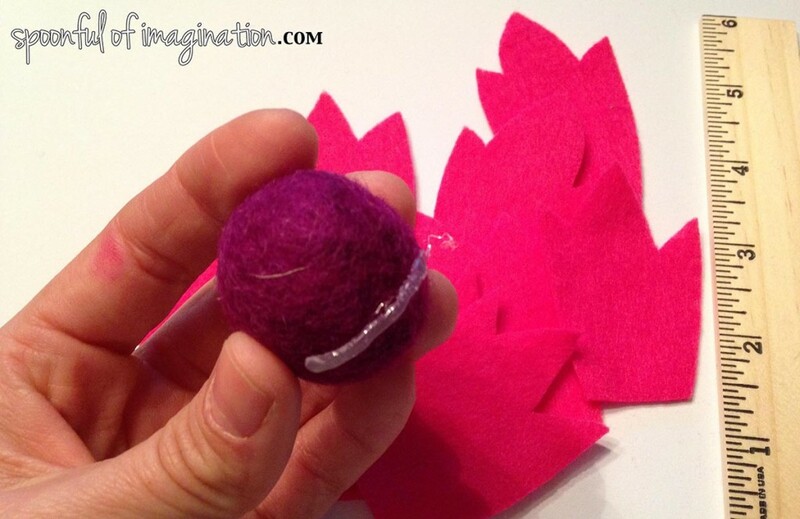 I used sharp scissors and snipped a slice in the felt ball. I created a little envelope fold by doing this. I placed hot glue and then a dowel rod into the hole. After holding the rod in place for a few minutes to let it set, I let it go and had the base of my flower complete! After I created a few of these flowers, I decided add one more touch to give it a more finished look. 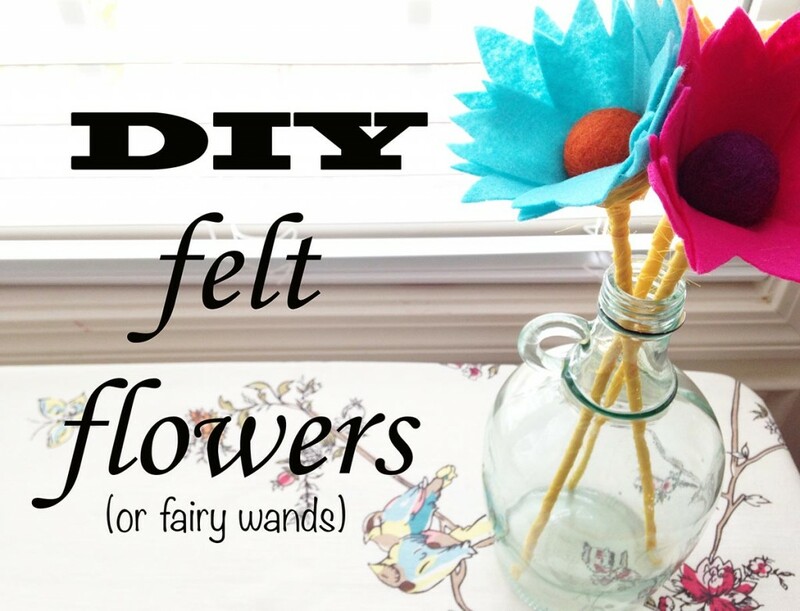 I simply used some chiffon left over from making my chiffon flowers and hot glued a little of it in place and wrapped it all the way down my dowel rod. I used a little more glue to hold it in place at the bottom, and it was done! I think these flowers are so cute by themselves in a vase! As I had them posed in a vase in our dinning room, my daughter came by and wanted to smell them and started waving them around saying she was tinker bell. She is a blast. She gave me the idea that these sweet flowers could be sweet party favors for a fairy birthday party. There are so many possibilities, if we use our imaginations! If you like this felt flower, I have two other designs you might enjoy! 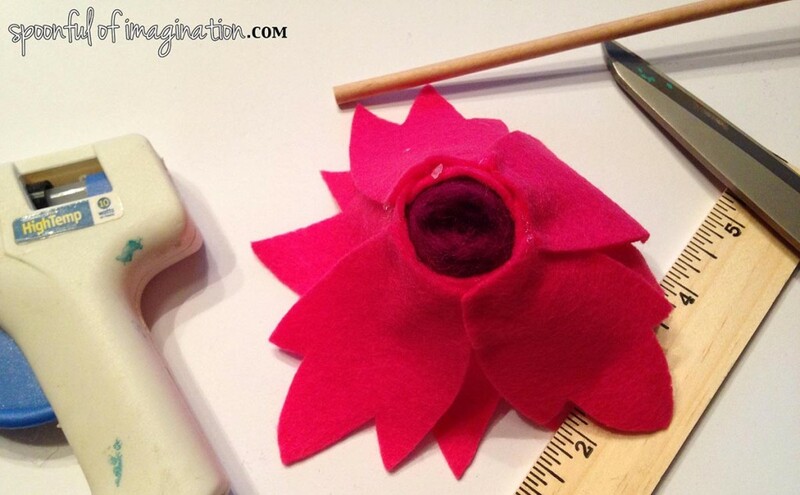 Take a look at this felt flower and my burlap flower design that uses wool felt balls in the center. For the next three people that buy one of my Spoonful Tribe Craft Kits, I will place one of these flowers in your box. 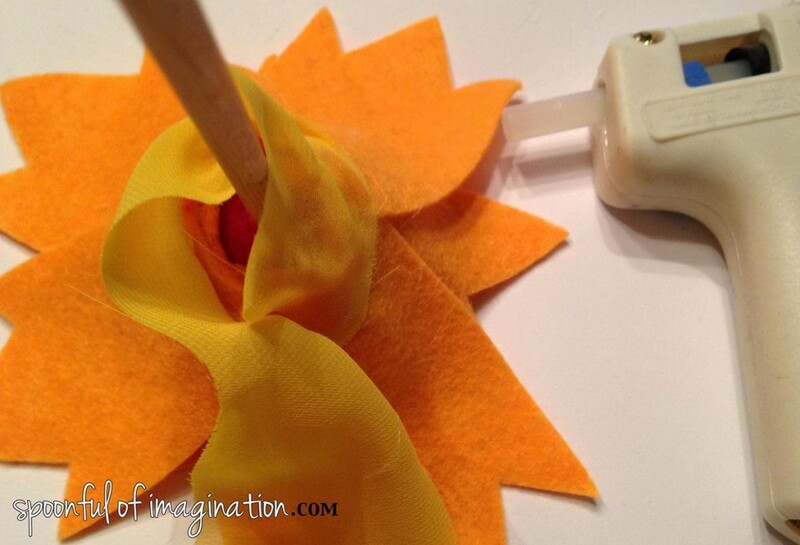 How would you use your flower? So, hurry, click here and buy your kit right now to ensure you get one of these flowers in your kit!